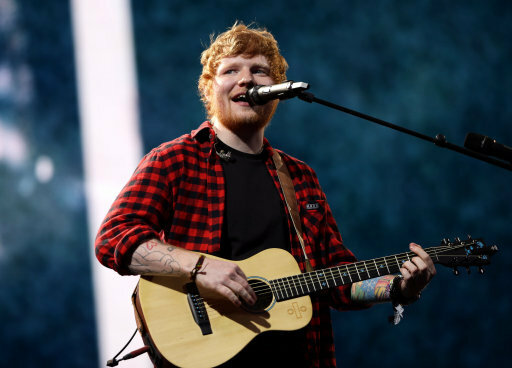 Ed Sheeran will be spending Christmas 2017 in the happy knowledge his track is at top spot in the UK charts. It was a battle between Ed – featuring Beyonce – Eminem and festive classic Last Christmas by Wham! but he made it. The track, Perfect, which he has released in three separate versions had faced losing out to Eminem’s River, on which Ed actually provides guest vocals – so I guess he’s technically taken the top two spots, sort of. The singer recorded a video message thanking fans for making ‘Perfect’ this year’s Christmas number one. This is an actual dream come true and I’m very, very proud and happy so thank you so much for streaming it and buying it and have a very, very merry Christmas, happy holidays and a happy new year. 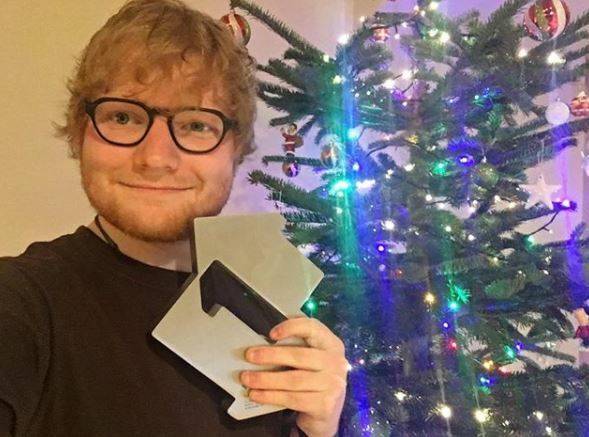 And a Christmas number one is just the icing on top of what has been a brilliant year for Ed. He got a cameo in Game of Thrones – whether or not that’s a good thing or not, I’ll let you decide – he was also named the most-streamed artist of the year and played a part in numerous charitable causes. But 2017 was the the year he was awarded an MBE by Prince Charles at Buckingham Palace. 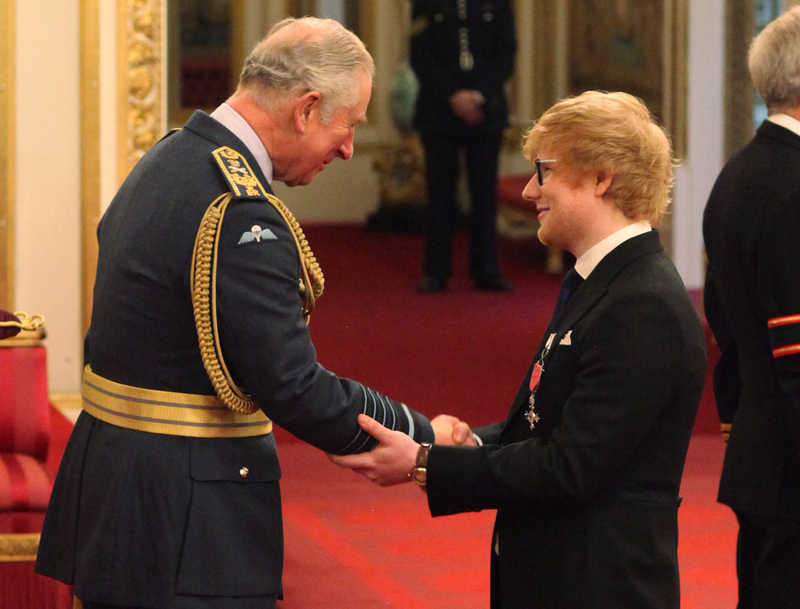 Ed was asked at the ceremony whether he would be up for playing at the upcoming royal wedding between Prince Harry and Meghan Markle which is in May, next year. The Prince of Wales was impressed with the superstar’s busy schedule, especially because he played a gig in New York, just one day after the ceremony. But it seems he is well-and-truly back and completely smashing it. Good work Ed!